Who wants some nurture email inspiration? As business owners, we put in a lot of effort into getting our brand in front of as many prospects as possible. But the major test is converting that first time user into a lifelong customer. That’s where a quality onboarding sequence makes the case. But making it work for your business is easier said than done. With so many different ways to take on nurture emails, it can be difficult to know which approach works and which isn’t worth the time and effort. One of the best ways to do your research is to learn from brands that have a strong strategy and proven results. Grammarly, a freemium automated proofreading tool, is one of these brands. They manage to make their email campaigns useful, interesting, accessible, and engaging. In a way, email has become an extension of the brand. 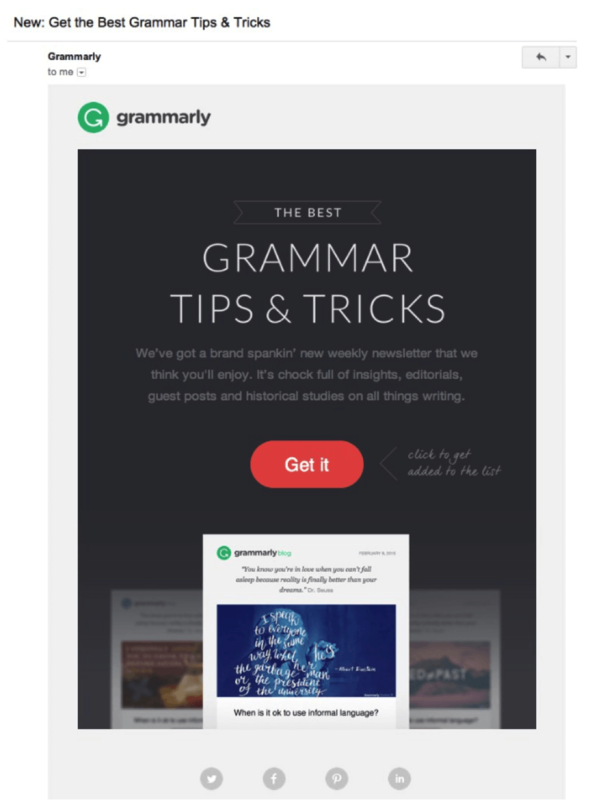 Let’s take a look at some of the key strategies and concepts Grammarly uses in their killer nurture email campaigns. Today’s customer is already barraged with sales messaging from all directions. Going in for the sale without building a relationship can knock your brand down a few pegs before it has the chance to set itself apart from the competition. Therefore, think of ways to provide value to your customers before you even think about closing the sale. 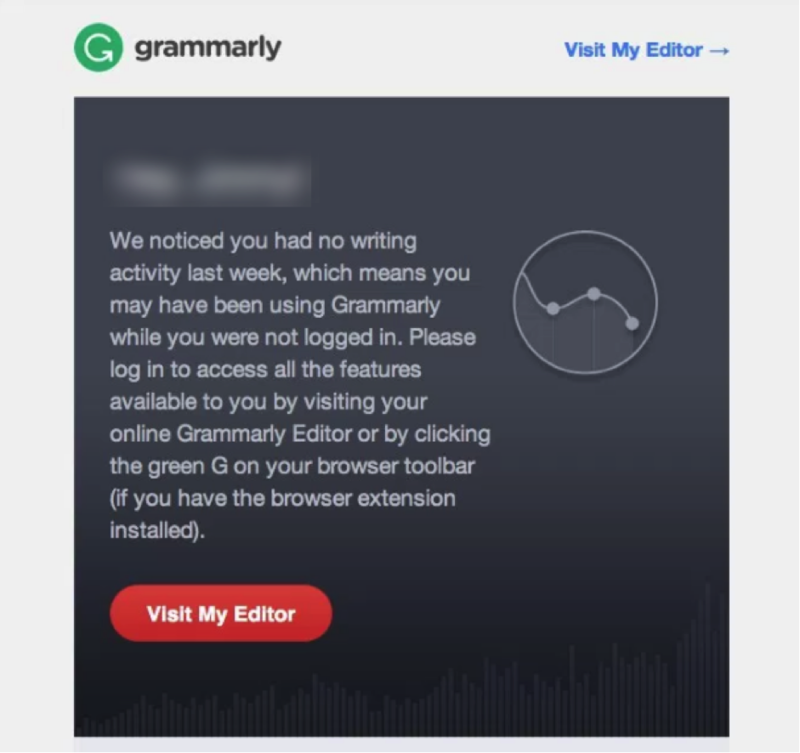 First thing’s first: Grammarly sends a welcome email every time someone registers for a new product in their suite. This is a great way to start building momentum right when they sign up, and to set the stage for long-term relationship building. Everyone loves to feel welcomed, right? It’s also a powerful way to introduce the most important and engaging features of the product. Here’s an example of the welcome email for their free text editor. This friendly, welcoming, and helpful attitude continues through all stages of their campaign. 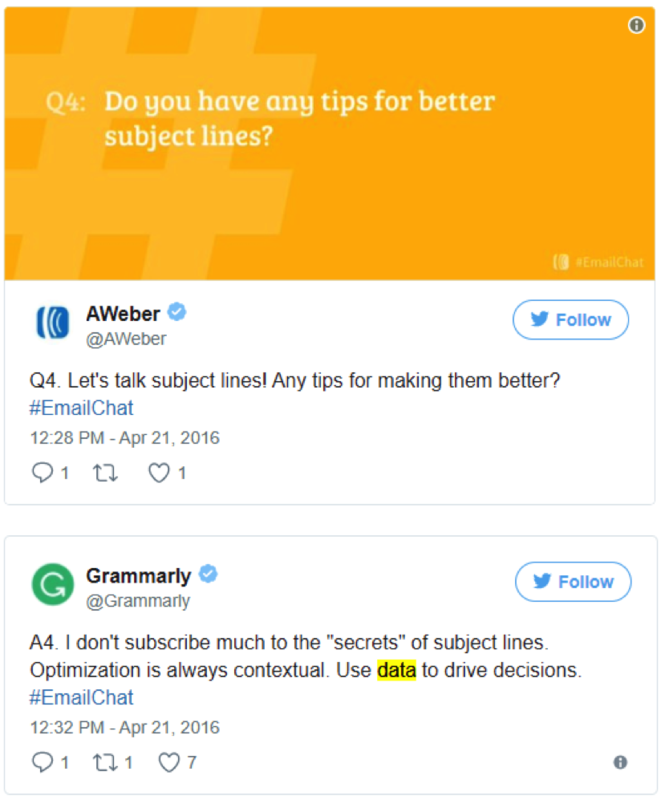 Instead of a magic formula for generating engagement, Grammarly encourages marketers to inspire and intrigue users with data. To build a sense of motivation, Grammarly combines the power of data with the power of self-tracking. Their weekly writing update sends both free and premium users performance stats from the week, with customized tips based on what each user can benefit from the most. 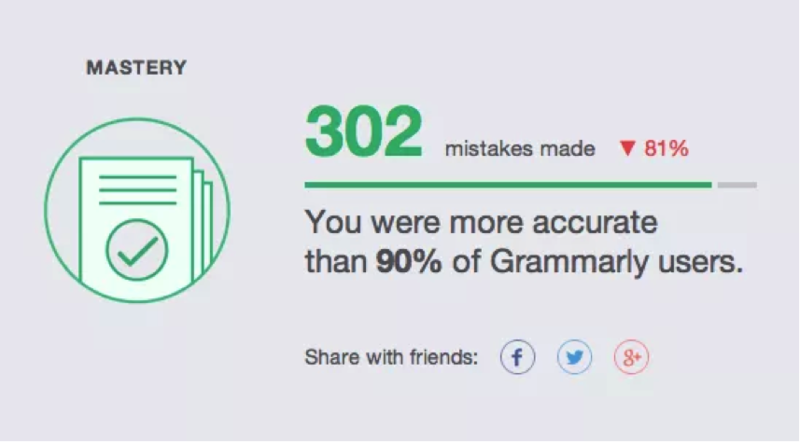 In addition to personal performance, Grammarly compares them with other users. This helps to create a sense of community and add context to their experience. At the end of the year, users receive a yearly summary that puts all the pieces together and drives home the user’s connection with the company. They even slip in some motivational language to give users a quick win and encourage them to keep performing at their best. 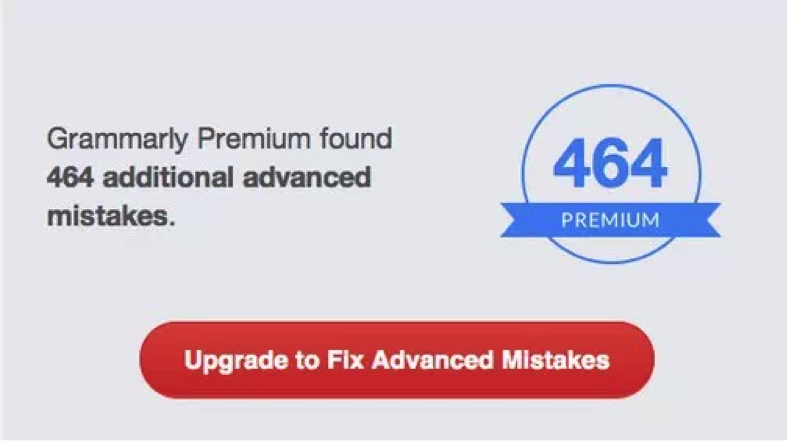 As a bonus, the yearly summary email provides an extra opportunity to encourage free users to upgrade to premium by showing how many mistakes the paid version would have corrected. Grammarly sends a weekly progress report that includes tips for how users can make the most of their experience with the product. But it’s not a one-size-fits-all event: their users are segmented into three main categories, with even more segmentation within them. The main categories are based on how many words their users tracked: those who tracked none, zero to 99, and 99 or more. These different levels of engagement with Grammarly give the marketing team insight into what tips users might need to become more familiar or comfortable with it. By narrowing down their audiences based on behaviors and preferences, Grammarly has a better grasp on how users are interacting with the product. This in turn helps them to hone their messaging to be more relevant and accessible, and ultimately more engaging. Drip campaigns, also called lifecycle emails, are long-term and relationship-focused campaigns designed to nurture relationships with users and prospects. Ultimately, they’re “onboarding” emails that are designed to bring new users from first touch to first value, which involves focusing on benefits and educating users on your products and what they have to offer. Drip campaigns involve multiple emails sent out on a schedule over time, and are typically highly-segmented to make sure you’re delivering the right messages to the right customers at the right time. Here at SaneBox, we always stress the importance of sending high-value emails, no matter the recipient. 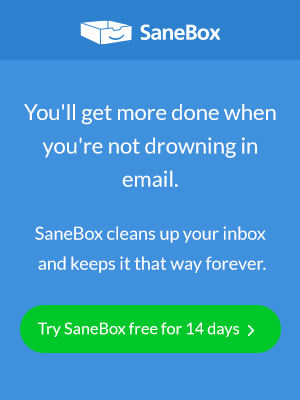 If you don’t, our filters will catch your email and send it straight to SaneLater, bypassing the ever important inbox. So whether you’re sending an email to a sales lead, a new customer or a colleague, make sure it’s worth their time first. Newsletter opt-in to allow users the ability to choose whether or not they’ll receive these emails. This can be a huge element of trust, as many users can feel spammed when they’re signed up for a newsletter they didn’t want in the first place. New product and feature email to alert customers of products they might be interested in. 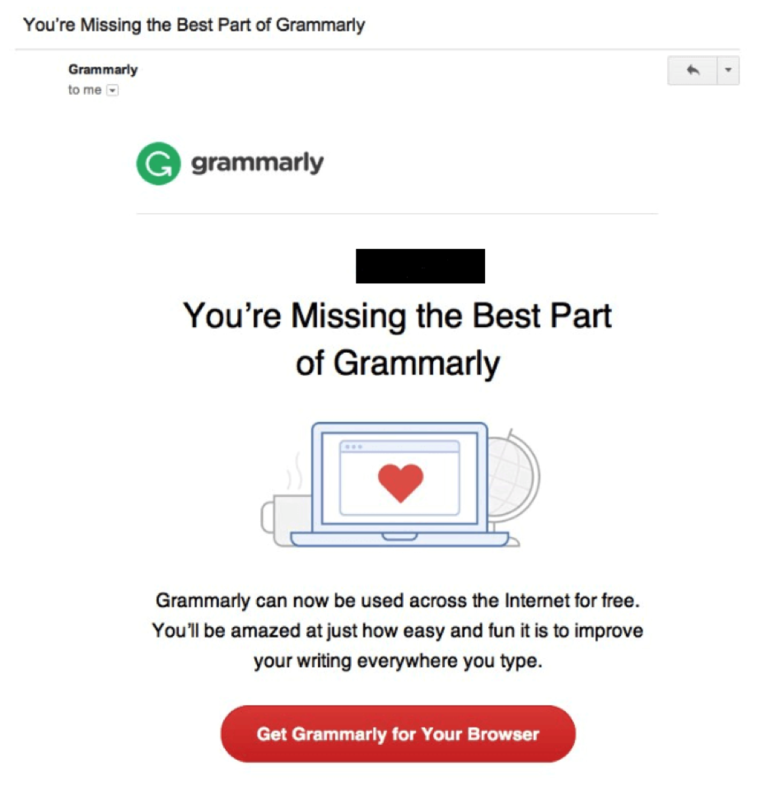 One of Grammarly’s best-performing products is its browser extension, so part of their drip campaign includes an email to encourage users to download it. Re-engagement email for users who have gone cold for a certain period of time. The power of this email should never be underestimated, as it’s a great way to bring your brand back into a user’s mind when it falls by the wayside. Since Grammarly offers a Premium plan, this fits in well with their frequency of communication. But even if your brand doesn’t have a premium offering, it should still be in your repertoire. Because of its segmentation, customization, and relationship-building strategies, Grammarly’s marketing campaign takes the cake for knowing how to engage and keep customers. The company uses email as an opportunity to get to know their customers while teaching them more about the product at a pace they can keep up with. Which of these strategies can benefit your brand’s nurture email strategy?